For each candle holder, dip yarn into a one-part Elmer’s glue, two-part water solution. Squeeze out excess; wrap strand around clean baby food jar from top down. 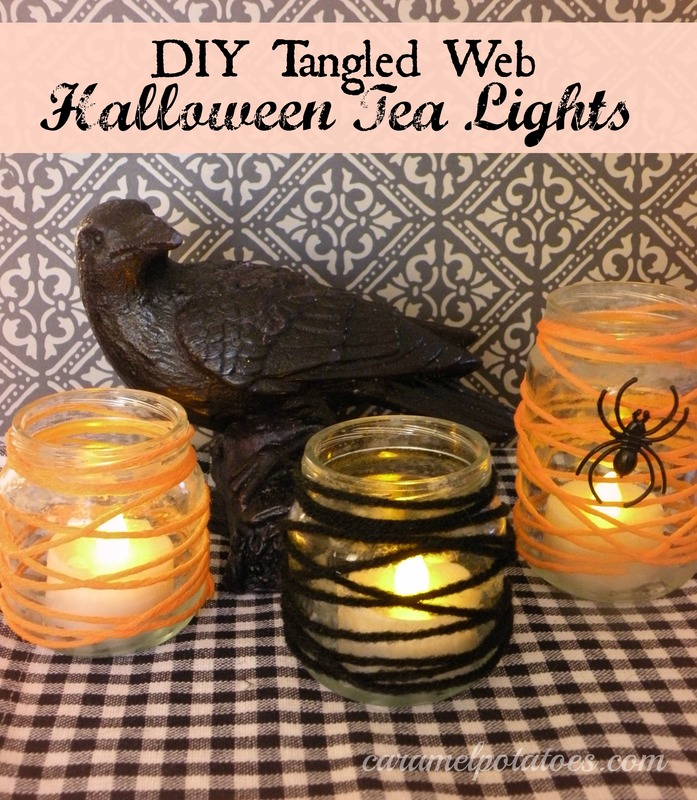 When dry add an LED tea light and plastic spiders if desired. These are so cute – I kind of missed them for this year, but I’m going to use red for Christmas. Thanks! These look so fun. Thanks for the idea~!